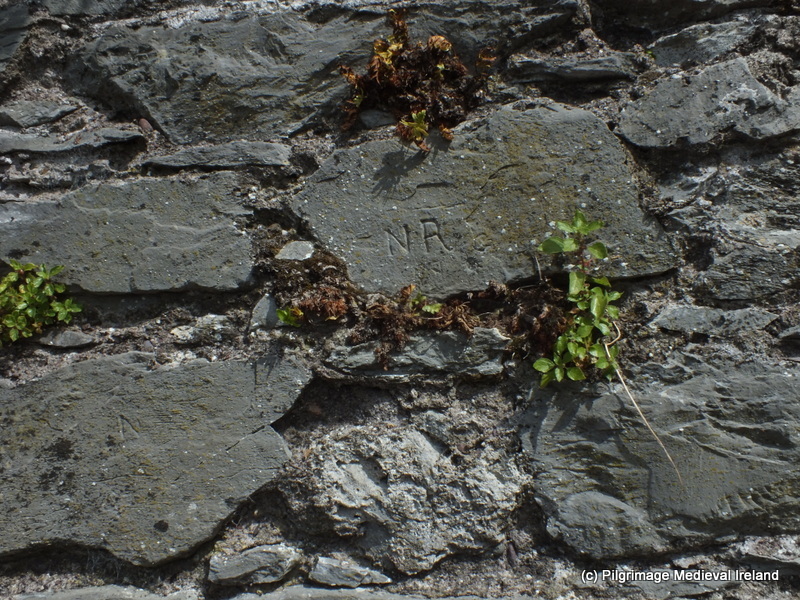 Last summer while working on the Spike Island Archaeological Project a colleague told me about some old graffiti in the town of Cloyne, Co Cork. I had visited Cloyne a few weeks previous and had been singing its praises. At the time I was also undertaking a small social history project supervising a group students in the recording and documenting of the prison graffiti left by the modern inmates at the education block known as Mitchell Hall on Spike Island. I was immediately curious and took another trip to Cloyne later in the summer. The Cloyne graffiti looks like it dates to the 19th century. 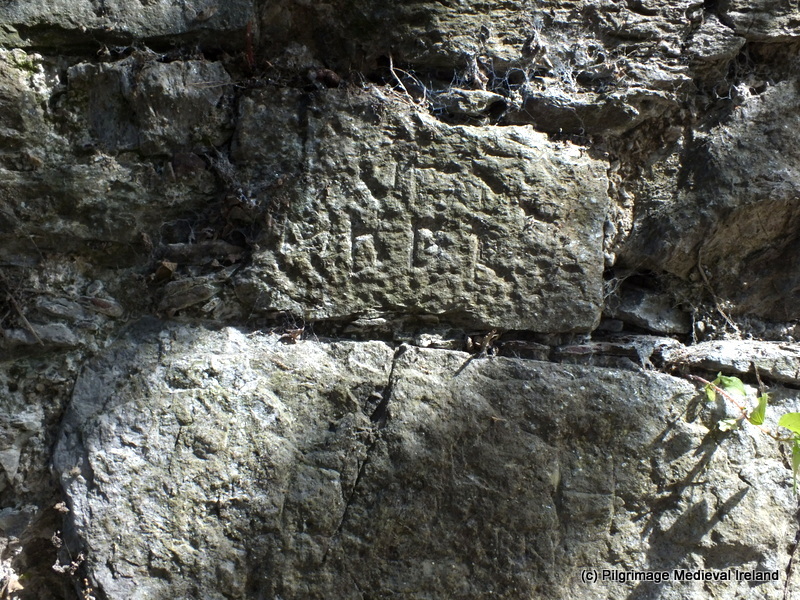 It is found on the exterior of the eastern graveyard wall. The wall defines the edge of a small little laneway that runs alongside the graveyard. 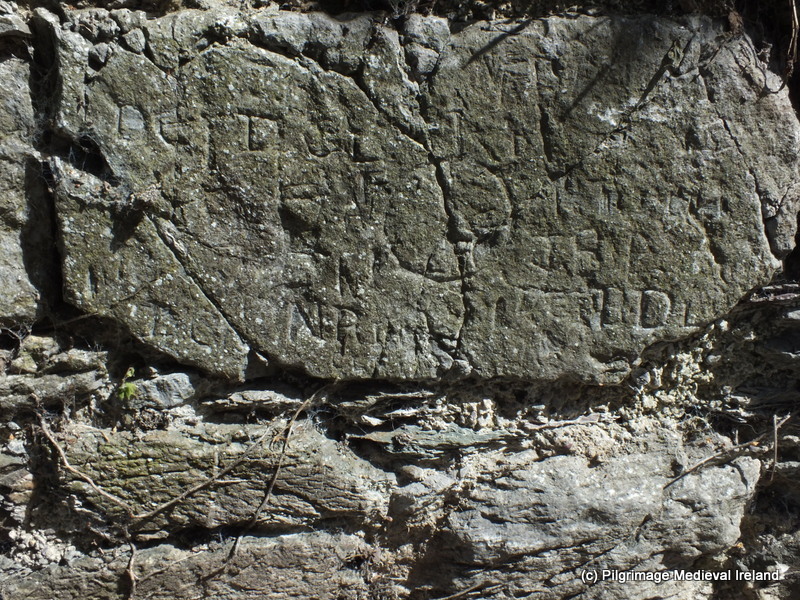 The graffiti is found on various stones from the top of the lane beside Church Street to where the lane starts to bends. 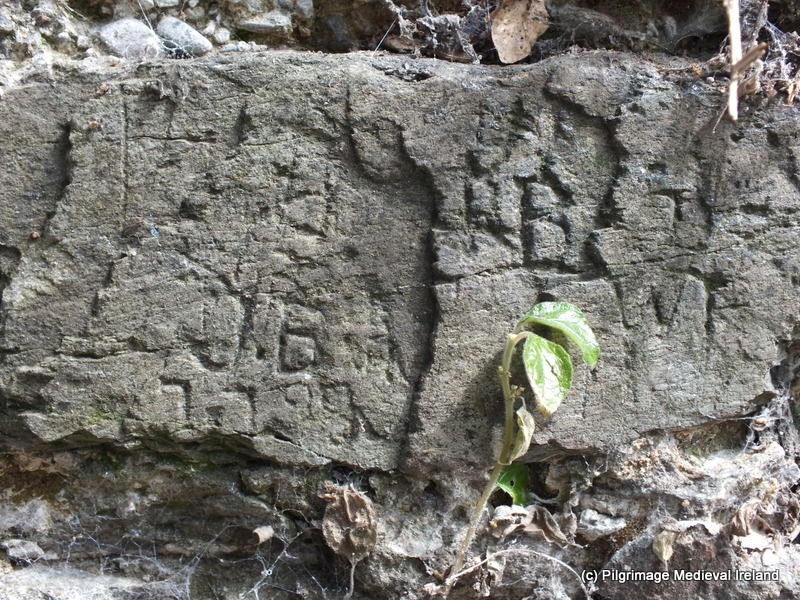 Many Irish medieval monuments such as castles and churches have graffiti left by people who lived in the 18th/19th century such as Trim Castle Co Meath. My visit here was only a short one but I noticed most graffiti consisted of people’s names. I also noticed a possible maltese style cross design on one of the stones. Below is a stone located towards the east of the lane, with the initials N R.
Stone towards the east of the lane with the initials N R.
Some of the stones have a surname followed by the placename Cloyne which suggest much of this was written by people native to the area. Cloyne is written in the bottom right hand corner of the photo. Some of the inscriptions are more difficult to read and will take some patient deciphering. I hope to come back during this summer and do some more detailed photographing and recording. As I walk down the lane I couldn’t help wonder about the people who wrote on this wall. Why did they do it? Did they sneak out at night? Did anyone get caught while writing? 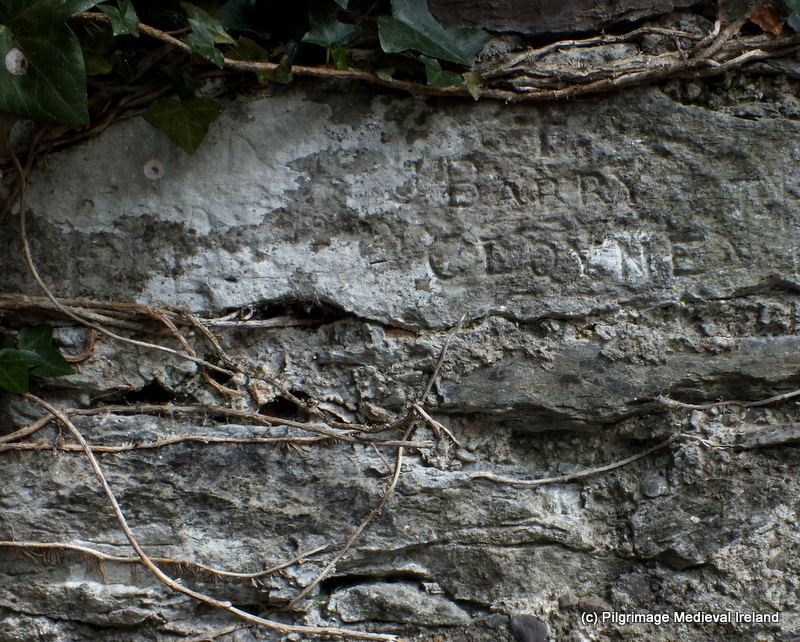 These carving which were probably seen as vandalism at the time provide a lasting link to past and individuals who lived in the town such J Barry of Cloyne. I will keep you posted on any further discoveries. 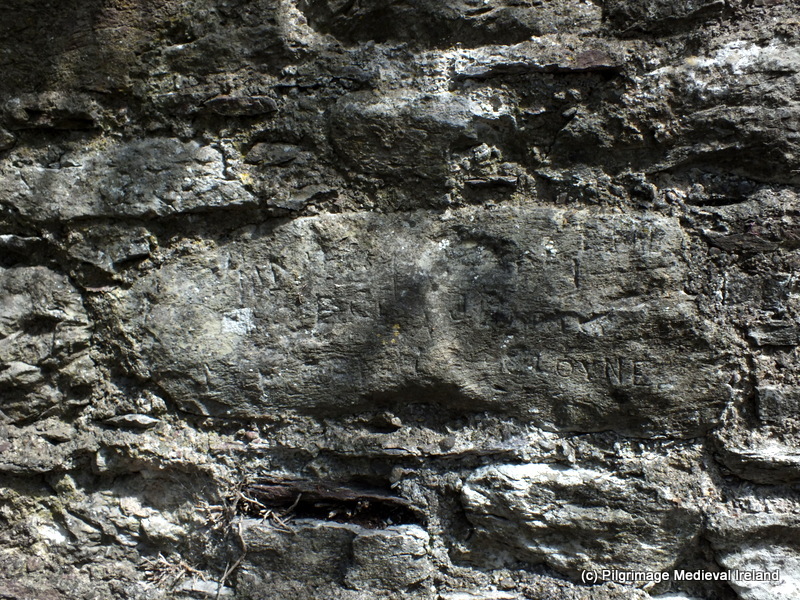 If you are interested in ancient graffiti I have put some links to some really interesting project happening in Ireland and Britain that are worth checking out. This entry was posted in Historic Graveyards, Uncategorized and tagged 19th century graffiti at Cloyne Cathedral, Medieval Cloyne. I have,just now, seen your article on the 19th. century graffiti on the graveyard wall of Cloyne Cathedral and may be able to enlighten you on the origin of at least some of it. In the early 1900s a local stonemason named Barry had a one man monument works outside the graveyard wall just where the graffiti is located. Local folklore says that he often tried out new forms of lettering etc. on the stones of the wall and would also allow locals to carve their names using his tools. A picture of Mr. Barry at work beside the wall exists and when I locate it will E-Mail it to you. Your articles are most interesting and informative and I have great interest in local history and as a native of Cloyne in the area in particular. Dear Jerry , I was delighted to get your comments about the Cloyne graffiti. This really adds so much to the story of the graffiti. 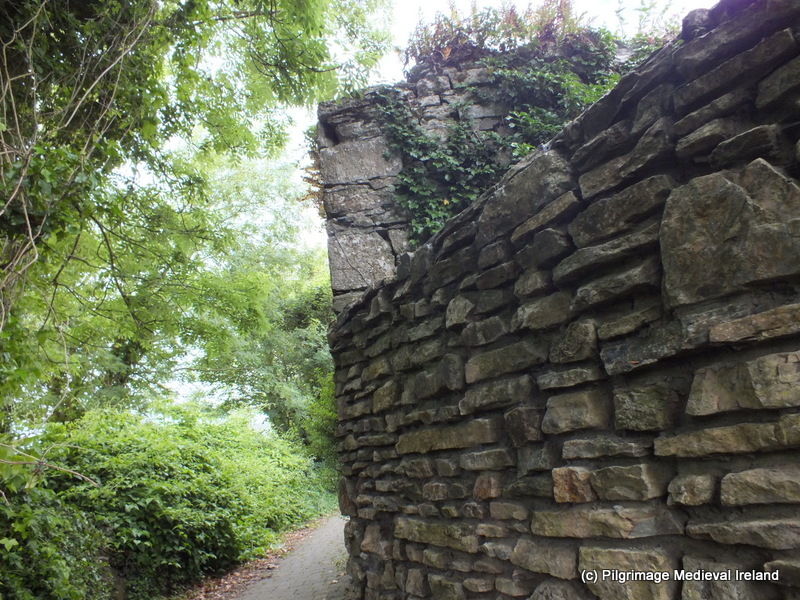 Could you email me at pilgrimagemedievalireland@gmail.com Id like to discuss this further. I would love to see a picture of Mr Barry at work.